UPND President Hakainde Hichilema has vowed never to stop party mobilization activities across the country despite many attempts by the PF Government to stop him. The UPND Leader has called on party members to continue mobilizing the party at all levels saying there is not time for holiday especially with the current economic situation that requires their urgent intervention. Mr. Hichilema says he has said it before that the country has numerous challenges that needs all to widely share ideas adding that stopping them from holding meetings like was the case on Friday in Kafue is certainly not one of the solutions that the country needs at the moment. He says what is even worse is that PF members have continued having meetings in different parts of the country some busy campaigning in the guise of inspecting government projects. He has disclosed to QFM News in a statement that in their meetings with traditional leaders, the clergy, and business community in Kafue before they were rudely interrupted, they learnt a lot on what is actually required to revamp the ailing economy and the urgent needs for economic diversification programmes that will create decent jobs for people especially the youths. Meanwhile, PF Media and Publicity Vice Chairman Sunday Chanda says the best opportunity the UPND had to win elections was during 2015 presidential by-elections after the death of late President Michael Sata. Mr. Chanda says the PF had little time to campaign as they were entangled with succession wrangles and that the UPND had all the time they needed to campaign. And Mr. Chanda says the UPND Leader Hakainde Hichilema will still shoot over the bar during 2016 general elections. Mr. Chanda says it is illogical for the UPND President to continue thinking that the current social and economical challenges will work to the advantage of the opposition. Mr. Chanda says it is unfortunate that leaders who are wishing to govern the people are celebrating over the country’s woes saying they do not mean well for the nation. He says the PF has done tremendously well in its four years of being in office and that Zambians have so many reasons of keeping them in office. He adds that the statement by the UPND that the PF is a one term project is baseless as Zambians will prove to him that they cannot trust him with power. He would make a better President- sadly he will NOT win the next elections. Accusing HH of Gloating about the current economic woes is merely sinking to the politics of Alexander Kamalondo and Kangwa Nsuluka. A PF second term will entail more trouble for our country. Using the Euro bond to support the budget is bad enough but if the presence of the IMF is anything to go by then austerity is on its way bringing with it words like essential commodities and forex restrictions. But for the majority of Zambians the serious implications are an increase in load shedding resulting in more jobs loses not to mention the thousands of SME, welders, barbershops and hair saloons with no capacity to buy gen-sets. Runaway $ and £ rate resulting in sky rocketing commodity prices. PF is loath to admit its mistakes this is a perfect storm things are bad really bad. But swine iwe you are driving on a good road and yet you say nothing.. Walitumpa sana! Ulya Palya Ni Devil (UPND) HON HYENA HH LELO NAPEPA AKASHIKI ASHILEKO ALAMONA BAKAPOKOLA KWATI NIBA MESSANGER BA PABOMA OFFICE. POLICE OFFICERS HERE IS A OPPONENT WHO HAS REFUSED TO OBEY STATE LAW. THIS PERSON SHOULD BE HANDLED WITH CARE OR GET~ OF HIM BEFORE THE NATION IS PLUNGED IN ~HE HAS NO MERCY & GIVING HIM CHANCE WILL ~ if HE cant obey talk to him but if he refuses force him or it will be worse with his cadres.all zambian are equal led by one president.u ve grassroot which can do what u want but bcoz u want to cause chaos u want to go round. COME TO COPPERBELT WE SHALL SHOW U HOW TO BEHAVE IN THE POLITICAL STADIUM. Does the survival of your family depend on PF being in Government? This corrupt greedy PF must be evicted. Their missmangment and corruption is every where to be seen, like the recent revelations that scholarships abroad are being shared amoungest ministers to give their children and relatives. The poor zambians with no connections in PF have no chance of getting anything. Why does tribal HH thinks that he has answers to our current economic challenges?who cheats HH kansi?bwana HH,u have no solution to our problems! !all u need is steal money from Govt like u did from sale of private firms!! !COME 2016 HH WILL BE PUT WHERE HE BELONGS(THE OPPOSITION) AS WE SHALL VOTE FOR PF IN LARGE NUMBERS NEXT YEAR!! Vote for your corrupt useless PF next year and continue suffering in masses. How is it okay that a president who pretends to be a Christian is so easily compromised and corrupted by simple people like General Kanene, a Bishop Chomba, RB, Dora Siliya, Kaizer Zulu and the Chipata Mafia Families? Surprisingly You people do not seem to notice all this. We have a president with no morals in Lungu. Surely are we that desperate as nation and out of options that we are content with Lungu? what makes you think Zambians problems can not be solved by a person, Is it not people who created the problems in the first place? You Africans have sunk so low that you accept failure and mediocracy as part of your lives. Shame on you and pipo who think like you. Next year it’s nega nega formula in all parts of Zambia. PF has a job to teach Easterners, Copper belt residents and Northerners how to use this formula. Their counterparts in Southern Province know the value of this formula. I agree with Mr Sunday,the “Southern Province party” had a chance in January which they fluffed. What mobilisation is he talking about,Southern province is already mobilised, its intact. Except that “nega nega” ambush which kachemas unleashed in January will be countered by “wako ni wako” from the Eastern province which will eventually phase out Kachema’s party from our political landscape.2016,ECL nafuti nafuti!!!? Sorry, I can assure you, it will always be voter’s apathy in Northern and Luapula, I have spent half my life shuttling these two regions and I know the attitude when it comes to voting matters, you may be like getting up to 40% registered voters voting. Please stop cheating yourself about CB….it will be a 50:50 this time around, the same goes for Lusaka. Mudala, iliko bad with the forth coming elections, wouldn’t be surprised to see your big wigs, the likes Kabwili, your vice president, etc, not returning to parliament building…trend carefully baba, you be chewing the last of the govt monies, so be wise and save wisely!! I can only appeal to wise Zambians that this tactic of labeling HH and UPND as Tribal party will not help solve Zambia’s economic problem . Kaunda failed to cheat people that he was the only savior when the economy began to melt. People of Zambia stop playing with tribalism its a dangerous cancer that will bring genocide. We know the true tribalists in Zambia and are dead scared of HH thinking he will revenge on them ,unfortunately they will be ashamed HH is our Zambian Mandela he will only focuse on the economy and he will form an Inclusive civilized government. Nothing will stop HH from forming Government next year not even the cowards the true Tribalists. Mr Chanda and your PF leave HH to campaing freely if you think HH is not a factor, why then teargassing and harrasing. KK tried to do the same but people were not on his side in 1991 and the same will happen to pf in 2016. HH will win by landslide mark my word. RB wont help you this time around. unfortunately mr chanda,a precedent is already their that assuming the presidency after death of the sitting president leads to defeat.i very much doubt if lungu will not fall in the same fate like RB.pf got the january sympathetic votes which will not happen in 2016 just like it happened to RB.2016 pf will be running on LUNGU record and not of sata(mhsrp). Early this year the Malawian prophet, Austin Liabunya, with a track record of false prophecies in his own country told his followers that Hakainde Hichilema would emerge as the new president of Zambia; something which turned out to be an embarrassingly false prophecy. This prophecy was welcomed and publicised by HH’s blog (ZWD). The United Party for Development leader was beaten by Patriotic Front leader Edgar Chagwa Lungu. I agree that PF should be kicked out as matter of principle, but I doubt any replacement will solve anything in current problems. Its true PF is useless but likewise HH is a tribalist and did acquire his wealth illegally, the people he surrounds himself with like canisius and GBM are greedy hyenas waiting to pounce on govt resources. Im not letting frustration with lungu blind me to fact of the quality of people in opposition, but as way of replacing one incompetent nepotistic group with another , why not! WHAT IS SO AMAZING US VOTERS IS WHY PF KEEPS ON BLOCKING UPND. I TELL YOU THAT 2016 WILL NOT PASS WITHOUT RESULTS FOR HH TO PLOT 1. WE ARE SUFFERING EVEN A BABY IS SEEING THAT IT IS TAKING ON NURSING BREAST FEEDING AND THE MORE IT CRIES, THE MORE THE NURSING MOTHER BECOMES ANGRY WITH ECL AND HIS SO CALLED PF. YOU ARE CALLING DEVELOPMENT AND THE ONLY DEVELOPMENT WE SEE IS ROADS IN LUSAKA AND THOSE ARE THE ONLY CITIZEN WHO ARE ENJOYING THE DEBTS AND ARE EATING THE ROADS WELL. NO DEVELOPMENT IN LUAPULA, CB, WESTERN, NW, SOUTHERN, CENTRAL. ONE WHO HATES HH WILL EAT HIS/HER OWN FINGER ONCE WE CHANGE GOVERNMENT. I WOULD RATHER VOTE FOR A FROG THAN DROPPING MY VOTE INTO POWER FAILED. The HEAT IS SURELY ON…. Major ECONOMIC infrastructure development is taking place, 80% is complete. The Kwacha is showing signs of recovery. Ladies and gentlemen lets talk about economic hardship which is worldwide challenge. Mature politics is very cardinal to all seniour politician and citezen in the democratic society like zambia. The FEAR OF A TONGA president. Hey Zambians, you have nothing on HH. Everything you say about him is lies you cannot substantiate. You would vote for a dog instead of a good guy just because of your tribalistic nonsense. Zambia yesu fwe ba Tonga, fwe ba Ngoni, fwe ba Kaonde, fwe ba Lozi, Fwe ba Ila, fwe ba Soli, fwe ba Bemba, fwe bena Ng’umbo,…N. Bonse, fwe ba Mwenye, ababuta na few babutulukila. Bonse tuli bene ba calo, ba Chimpempe, ba Katolika, ba Menelandi, balya ba fwala impapa sha mbwili, etc. CHANDA IS JUST NOISE-MAKING BECAUSE HE IS A BENEFICIARY TO THE ON-GOING LOOT BY THE PF GOVERNMENT ON THE COUNTRY’S MEAGER RESOURCES. PF AND LUNGU ARE A FAILED PROJECT IN ZAMBIA, AND SHOULD BE ABANDONED IMMEDIATELY IN ORDER TO REDEEM OUR COUNTRY FROM THESE ECONOMIC WOES. UPND IS THE WAY TO GO TO ALL ZAMBIANS WITH PROGRESSIVE MINDS. ZAMBIA WILL EXPERIENCE A PROSPEROUS COUNTRY OF OUR DREAM UNDER THE LEADERSHIP OF HH AND UPND. HH IS A HIGHLY INDUSTRIOUS, ENERGETIC, RESOURCEFUL, AND PROSPEROUS INDIVIDUL, AND WILL INJECT THIS SAME ZEAL INTO THE GROWTH OF OUR COUNTRY. LET US GIVE UPND CHANCE TO RULE US. VIVA HH VIVA! VIVA UPND VIVA! Thats a nice one! A big up to you mr Presido HH calling for a country wide party mobilisation! lndeed a soldier dies a thousand times but a coward once! For us here in the barack in the Copperbelt wil be havin anotha weekend intensive secrety party meeting at provincial. We are yo foot soldiers for real & wil keep in touch sir! Viva our presido HH, Zambians loves you as we are headed for a better change of a better Zambia come next year! God help us.. Surprise surprise! So HH consulted people in Kafue about the solutions to Zambia’s economic challenges and they told him! I thought that we were told by his cadres that he as economic manager has all the solutions in his head! If those cadres had said the truth early enough and indicated that HH is no super hero and that he too will lead by asking people the way forward, he certainly would have garnered some votes. But now HH is telling us that he is doing exactly what ECL is doing, consulting people! I am shocked, and then where is the need for change of leadership then? HH and Ulya Pa Ni Devil (UPND) have no interest and agenda for the Zambians and this is very well known by the voters. HH interest is just to prove that a T0nga can also be president and thats no what people want. We know very well why he is so desperate about power, its to use government resources to pay back the debt that he has accumulated especially after losing the January 2015 elections. You recall that in his desperation, he mistakenly even reviewed the secret that he will bring back Anglo America back to come and steal and misuse our mines again after they ran away. UPND through HH have got so much debt that they ar failing to pay the lenders and the only way out is to give fake and dubious contracts to these as a way of paying back. What is the UPND strategy for youth employment is you ask, nothing at all. All you hear from HH is that I have a plan for youth employment! Let him say how he create those jobs now for people to believe him, otherwise, I see the end of this man in 2016. CHANDA YOU ARE RIGHT HH IS A DREAMER AND SINCE DREAMING IS FREE LET US ALLOW HIM. THE MAN HAS RUN OUT OF CAMPAIGN MESSAGES. HE TALKED ABOUT LATE PAYING OF FARMERS IN JANUARY ELECTION PF HAS ALREADY PAID THE FARMERS THIS YEAR. THE DOLLAR IS GAINING HE HAS NO MESSAGE AGAIN THE ELECTRICITY ISSUE WILL BE GONE IN 2016 AND BY THE TIME HH WILL STAND ON A PODIUM AND CAMPAIGN HE WILL TOTALLY HAVE NO MESSAGE. PF HAS STRATEGIES AND IS WORKING HARD TO ADDRESS ALL THE PROBLEMS AND BE ASSURED THAT COME 2016 HH WILL HAVE NOTHING TO TELL THE PUBLIC. Lt stop blocking my messages I am one of the oldest and most respect member of the LT bloggers. If HH is not a factor why are tear gassing him and blocking him to go the Copperbelt.PF cowards hiding behind tribalism and outdated way of doing politics.2016 will come with economic issues top of the agenda and not the old stories of Uyu Mutonga so what do we eat a tribe. Welensyk type of politics do not make sense to us who civilized and born from mixed marriages. To hell with tribal contests we need better schools,hospitals and a better economy generally not only roads. So infact now you believe that PF and President Lungu are very serious with development of Zambia because you have just accepted that President Lungu is constructing roads everywhere you go. Lusaka is now a city some is proud to be associated with because of the good roads by EDGAR CHAGWA LUNGU. Furthermore, construction of schools, Universities, hospitals are already in very advanced stages, so where will your Under 5 get the vote from? Believe it or not, President Lungu will be our President after 2016 elections, unless your Satanist take us all in hell. Level the playing field. African Govts do not learn. See how Burundian President and now many others are in love with third term resulting in unnecessary tension. Development in Zambia will be achieved by allowing debate and freedom of association. If what happened in France had happened in Zambia, the opposition would be celebrating and pointing fingers at Edgar, seeing as an opportunity to State House. In contrast look at the unity exhibited by the French people, even the person who wants President Hollande’s position and the Elyssee Palace, has united with the rest of his countrymen, mourning with them, seeking revenge for the common enemy, he has even put aside his ambition to Elyssee palace for this moment. Ifwe iyo, when there are national challenges twafimwena pa State House. Awe umutundu wesu katwishi mwe! Umuchinshi Usuma you have made very good analysis. I believe that it’s partly because of this extreme form of hypocrisy which KK saw and in his wisdom just declared a one party state. To this effect the only two genuine opposition leaders l have seen to be patriotic to the nation are Fred Mtesa and Alias Chipimo. The rest are so desperate that they even go to the extent of tarnishing the nation’s image to the international community for the sake of winning power. What a shame!! We are just moving forward with my President HH Mukwaii. @Umuchinshi usuma. Do not make everything political. What did the opposition do when H.E. M.C. Sata died and during his memorial last month? The opposition mourned and HH was at the memorial! HH went there just for political reasons. He realised he had blundered on the da of the PF( prayer and fasting). He had no choice but to get back in a church!! So he went in with a sinister face and found EDGAR WAS ALREADY there!!! I find the debate about the two race-horse in the 2016 elections fascinating. It seems in Zambia it’s all about being for or against. There are no neutrals, which is very surprising. Anyway let go straight to the point and ask these two questions. Hope someone can objectly respond. What impact do you think the MPs will play in the 2016 elections, considering that 2015 was a by-election and there were no MPs campaigning? In the same vein to what extent did the infighting affect the 2015 election results and to what extent will a clear and total incumbency play in the 2016 elections? Let’s debate ladies and gentlemen! ULYA PALYA NI DEVIL UPND ~ POLICE S DUTY IS TO PROTECT HIM BUT IF DEST WANT LEAVE HIM HE IS USED GOING THRU ROOFS. Am told the Upnd constitution is in tonga. So Upnd is just a tribal tonga party. MOST OF YOU BLOGGERS ARE JUST CHEAP TRIBALIST. WHY DOI YOU KEEP INSULTING HH JUST BECAUSE OF HIS GOD-GIVEN TRIBE FOR HEAVENS’ SAKE? WHAT MAKES YOU THINK THAT YOUR TRIBE AND YOUR BEING IS BETTER THAN HH’S TONGA? GET REAL YOU SHALLOW-MINDED SMALL HEADS. WHO DO YOU THINK YOU ARE? CAN YOU CLOSE A DOOR IF GOD HIMSELF OPENS IT? STOP YOUR ROTTEN MENTALITY. VIVA HH VIVA! VIVA UPND VIVA! IT IS SO SHAMEFUL THAT MOST OF YOU BLOGGERS ARE JUST CHEAP TRIBALISTS. WHY DO YOU KEEP INSULTING HH JUST BECAUSE OF HIS GOD-GIVEN TRIBE FOR HEAVENS’ SAKE? WHAT MAKES YOU THINK THAT YOUR TRIBE AND YOUR BEING IS BETTER THAN HH’S TONGA? GET REAL YOU SHALLOW-MINDED SMALL HEADS. WHO DO YOU THINK YOU ARE? CAN YOU CLOSE A DOOR IF GOD HIMSELF OPENS IT? STOP YOUR ROTTEN MENTALITY.HH IS CREATED IN GOD’S OWN IMAGE JUST LIKE ANY OTHER PERSON AND GOD CAN GIVE HIM THE GRACE TO RULE OUR COUNTRY. VIVA HH VIVA! VIVA UPND VIVA! 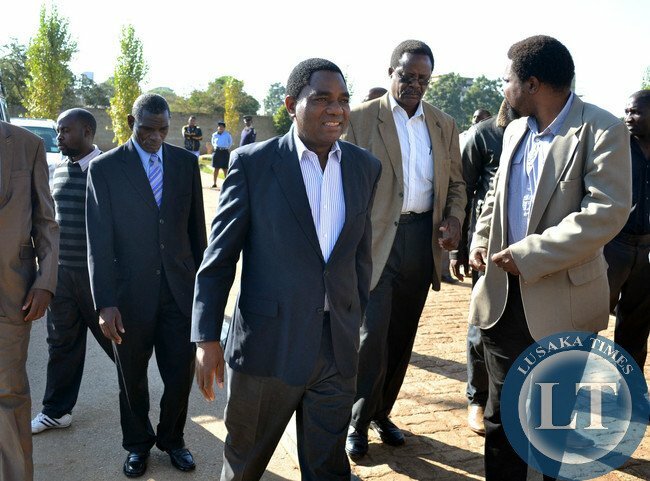 HH ‘S MOTIVE IS TO DISTABILISE THE NATION SO THAT PIPO SEE THAT ECL HAS FAILED. PIPO NOW KNOW THAT HH IS A SPOILER HE WANTS TO TAKE ADVANTAGE ON NATURAL FAILURES TO BLAME GOVT.THE INVESTIGATOR SAYS HH HAS RECRUITED CIVIL SERVANT FROM SOLWEZI GENERAL H BASED ON TRIBE ACC,NURSES,LAB,BLOOD BANK,WARDS,PROVINCIAL ACC,REGISTRY,ZESCO PLANNING UNIT,POLICE,KABANGABANGA RADIO,NORTH WEST TV, THIS IS BEING DONE EVEN IN OTHER DISTRICTS IN NWP,SP,WP,CP,AND WHERE TONGAS,LUNDAS,KAONDES,ARE HOLDING POSITIONS INCLUDING ZNBC NEWS,MARKETING THESE HAVE BEEN PROMISED BIG POSITIONS IN GOVT.WHAT IS BAD IS TRIBAL ISSUE WHERE HH SAYS BEMBAS SHUD LEAVE NWP,SP,WP I HATE THIS BCOZ WE ARE ONE HAS BROTHERS NOWARDER HE DOESNT WIN ITS SATANIC.TO GIVE MORE AFTER INVESTIGATOR FEEDS ME.